Nice one. 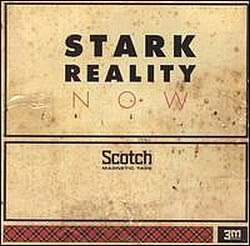 I love the Stark Reality tunes from the Stones Throw mix tapes (like Rocket Ship). I've been meaning to chase this album down for a while. So cheers - I'm really looking forward to listening to this. I love what you do! I always wanted this! what a frikkin sick album! GREAT post! thanks for stark reality and everything else on this site. the most consistent blog i know of. GEMS UPON GEMS - i feel spiritual and musical rich right now.. everything a little breaks,soul, jazz funk - fan boy ever wanted on mp3..